As we work from our own fully-equipped office, there’s no need for you to provide us with office space and computer equipment. We have the full suite of Microsoft Office software, colour printer, fax services and other equipment. Many temp agencies have half-day minimums for their staff; our minimum time is just one hour. You’ll have the same assistant working with you each time, so we will get to know your business and how you prefer things to be done. This lets us be more productive more quickly, and guarantees confidentiality. We’re available 7 days per week, so can work with you during those times you need support outside normal business hours. Having Online Office Assistants on call eliminates the stress and bother of having to pay costs associated with keeping salaried secretarial staff, e.g. 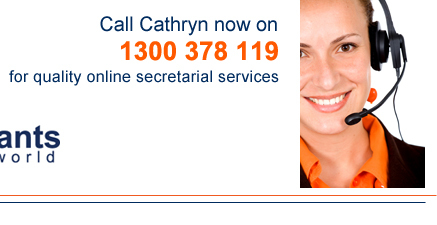 superannuation, salaries, insurances, office equipment and space. Our hourly rate incorporates all these costs. Outsourcing the administrative, day to day tasks to Online Office Assistants will give you back the time to focus on your business.